A faith-filled and journalistic look at what happens when we die -- including in-depth descriptions of death, the parting of the soul, 'judgment,' transition to the other side of the veil, and the various regions which at the highest reaches will astonish you with their splendor and light! Of all his books, one not to miss because no other could be as important! Actual testimonies from those who 'returned' and insights on preparing for the wondrous day we all can joyfully reach! 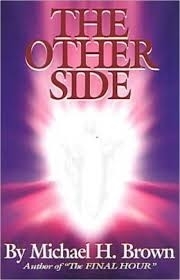 Fresh information and real cases that lend to the sights and sounds and Light of Heaven! This is the bestselling book we have ever published. Autographed.